I have bought a couple of watches from Stauer and this one is simple and nice. Good to use anywhere. I would buy another watch soon. For men of means, the 1920s were the golden age of world travel. Opulent ocean liners and well-appointed private train cars moved at a luxuriously leisurely pace, devoid of hustle and bustle. The greatest pleasure lay in arriving in style, ready to drink and dance deep into the Parisian night with Hemingway and the Fitzgeralds or to talk shop with your British business colleagues in Cairo. 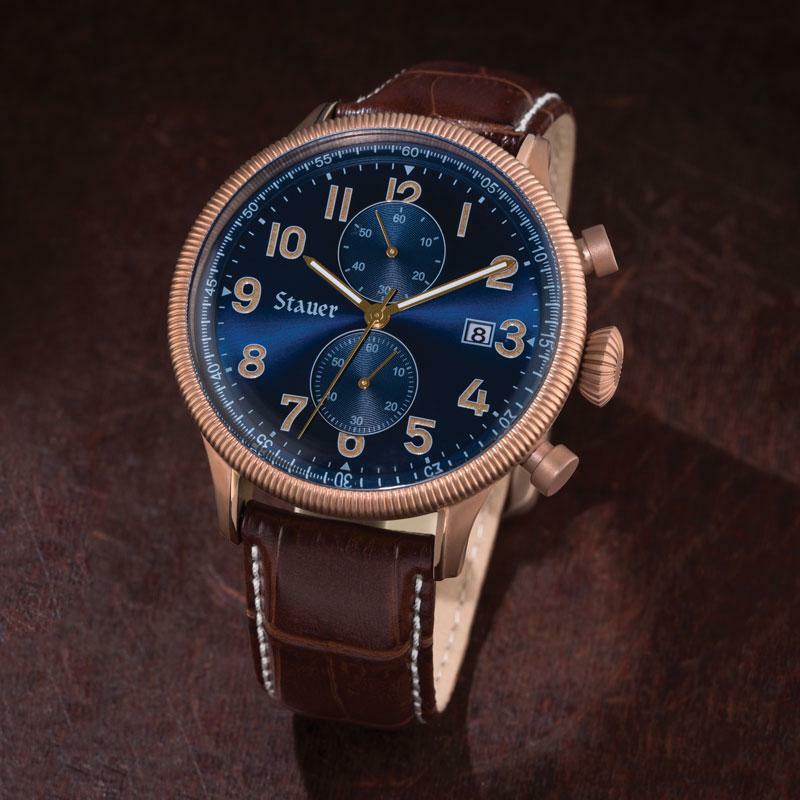 Traveling in the 21st century can be frenetic, but the Stauer Gallivant is a men’s chronograph designed to recapture the global good times of the early 20th century. The deep midnight blue watch face includes a movable feast of complications, with a date window at 3 o’clock, as well as a stopwatch and separate windows for minutes and seconds. A genuine leather strap in rich brown keeps this precision timepiece securely on your wrist. The Gallivant is designed to fit into a high-end globe-trotting lifestyle, but without the outrageous airport mark-up. This is an affordable luxury, with a vintage look that’s classy enough for evening drinks in any company, while remaining durable enough for daytime adventure, wherever in the world you happen to be. Fits wrists 6 1/2"to 8 1/2"